The European Capital of Culture 2015 title is shared between the city of Pilsen, Czech Republic, and the Belgian town of Mons. Are this year’s events going to be focused solely on beer and chocolate, or there’s more we can expect? For sure there will be much more – but what exactly? Below we’ll present the two cities more thoroughly. One of the more interesting and varied cultural initiatives organised by the European Union is the designation of some selected cities as the cultural capitals of Europe for the period of one year. The concept is by now well-established, it’s been going on for decades, and in recent years it’s been expanding even. Here on Art Weekenders, already last year we got more closely acquainted to the concept, when we covered the European Capitals of Culture for 2014, and where especially one of the two nominees, Riga, caught our interest. This year it’s time again. There are two different cities designated for the role, and as customary, the expectations are high. One of the more attractive facets of the concept is that there will never ever be two identical arrangements, not even by pure coincidence. The main focus of the European Capital of Culture idea is to give the organising city and its immediate surrounding region a chance to display itself for the world, but just as much to interact with its local “ecosystem“. 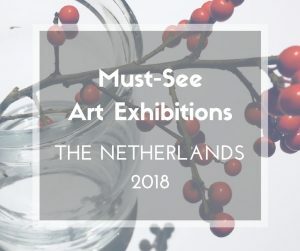 This local focus makes the European Capital of Culture idea so unique, and why there will always be as many different programs as there are hosting cities. For instance one of the cities from last year, the Swedish Umeå, went for what we’d like to call a more introverted approach with focus on the local audience, where the appeal for foreigners was limited. The choice for 2015 fell on two cities with great potential to attract an international audience and visits from many corners of the world. Pilsen (Plzen locally) in the Czech Republic is more famous than most people might even realise it, thanks to the famous pilsner beer, originating from the vaults of this very city. A beer which is still the pride of town. 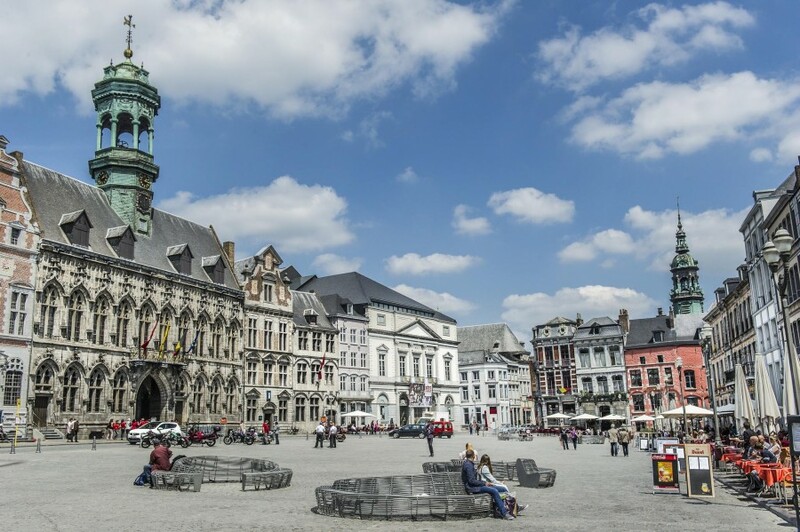 Mons, in Belgium, on the other hand is a town that likely gets sidestepped for its much more famous neighbours to the north, Bruges and Ghent, and of course for the country’s capital, Brussels. We are convinced that both hosts are eager for us from far away lands to get to know them better. Mons has a very strategic location: blessed in one respect in regards to historic trading routes, this became a curse in regards to major conflicts. One of the first big battles of the First World War took place just here outside town, and the first British soldier in what became a long war got killed here. Today, despite the good location, visitors tend to “miss” it, given the fierce domestic competition from the more renowned tourism magnets in the country. Mons, located on a hilltop (which is also the reason for its name, meaning “mountains” from the French mont, also reflected by the city’s Flemish name of Bergen), is a highly attractive city with a very rich historic heritage. Most of the city centre is pedestrianised, where cobblestoned streets circle the main square, the Grand Place. Architecturally it is dominated by red brick buildings, and it has many eye-catching, photo-opportunity inviting edifices spread across the entire city. Among the main highlights the ones definitely not to be forgotten at any visit are the Belfry (Le Beffroi), the Sainte-Waudru Collegiate Church, and of course the Grand Place where especially the Town Hall will attract your eyes. Oh, and since just a week or two ago, right in time for the inauguration of the ‘Mons 2015’ year, there is something new, something modern to admire, representing a new, fresh image the city and its 100 thousand inhabitants are aiming for, the new architecturally splendid congress hall called the MICX. The European Capital of Culture year in Mons started from the very beginning with a big bang. As just pointed out, Mons has a new centre-piece as a symbol for the regeneration of the region. 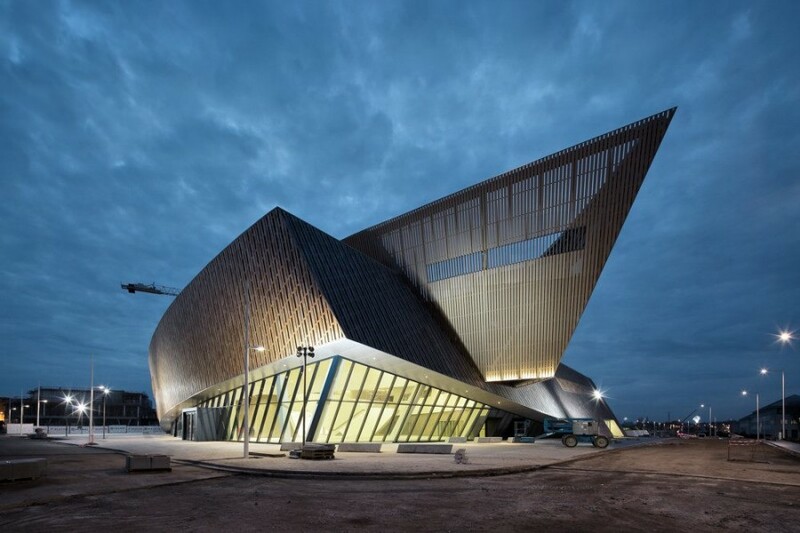 The MICX – Mons International Congress Experience – is the commissioned work of the famous Polish-American architect Daniel Libeskind, inaugurated now to coincide with the European Capital of Culture year’s big opening. The actual grand opening for the ‘Mons 2015’ year is on January 24th. Judging from the early pictures, both the exterior and interior witness of something spectacular to look forward to visit, making a trip to Mons well worthy. And there’s more. From an art point of view it’s going to be a busy year for the city. 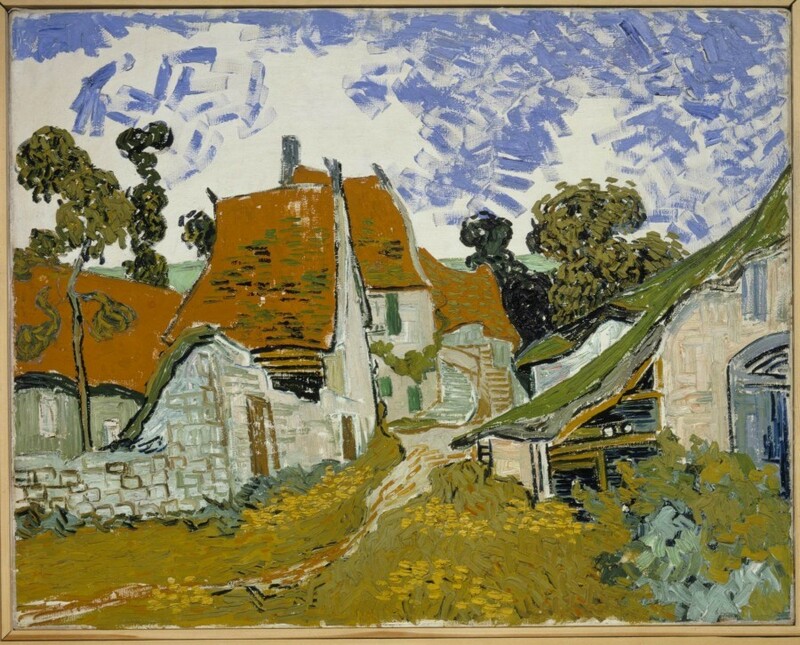 As we speak, some very expensive Van Gogh paintings are being packed up on the way to Wallonia for the opening of the exhibition ‘Van Gogh in the Borinage‘ as part of Van Gogh 2015. As it happens, the famous Dutch painter had a short spell in this region during his earlier career, just right before he decided to abandon preaching for the arts. This is a topic that we’re going to come back to – Netherlands-based as we are – in this very important Van Gogh year. Already now, feel free to visit our ArtSmart-friend Christina’s overview of the Van Gogh events for 2015. 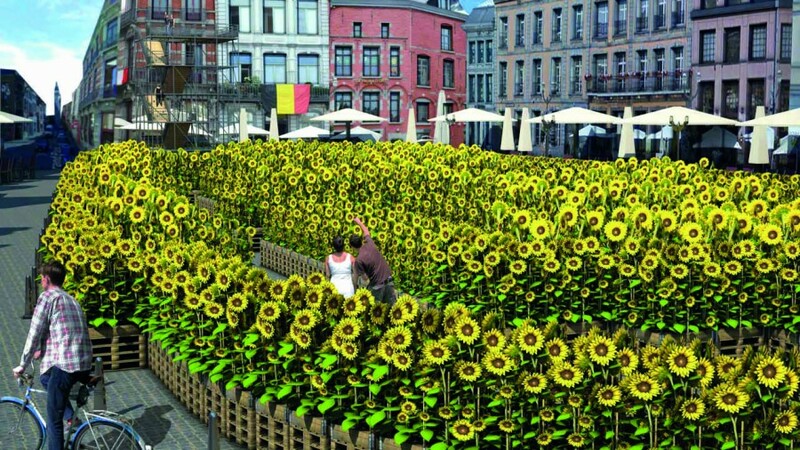 While strictly speaking not an art event per se, rather Van Gogh’s “models” posing on the city’s main square, the flower installation promises to be a memorable event that we think would be fun to join. Dates: 14th to 24th May 2015 | Location: Where you’ll the least expect it in the centre. You might recall Kurt Perschke‘s amazing Red Ball that we featured at several occasions last year? Well, this very same RedBall Project is going to pay a visit to Mons in May. Kurt was already scouting the place just before Christmas. Dates: 4th April to 21st September 2015 | Location: Mons Intramuros, Grand Place. As part of the ‘Art in the City and Trails’ program, contemporary artists are invited to present their series of “street-corner arisings”, mystically described in the program as not intended to be open-air exhibitions of contemporary art, but rather as interventions. Well, we’re a bit curious in any case. An overview of Mons would be worth nothing if the yearly festival of ‘Doudou’ wouldn’t be mentioned. With origins as far back as 1349 this is the city’s big party, when Saint George and the Dragon are at the root of all the happenings. It’s a popular event, where food, performances, music and beer are at the centre of the attention. As quite often with the European Capital of Culture events, it’s hard to even know what’s there you are going to like. It’s often about experiencing and discovering new events so to say. This way, we’re sure that also the jam-packed Mons 2015 program will offer something for everybody. 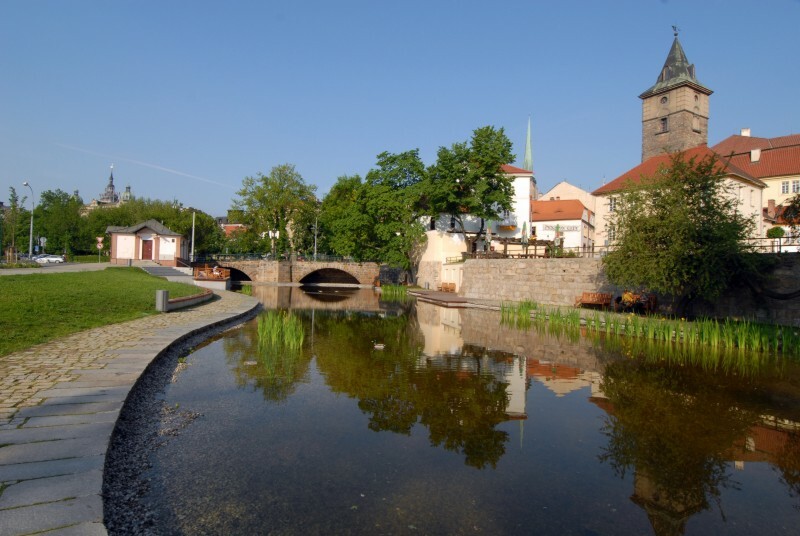 The city of Pilsen (Plzen in Czech) – located in the Western part of the Czech Republic, just a short distance from the German border – has its roots some thousand years back in time, while eventually gaining city status at the end of the thirteenth century. 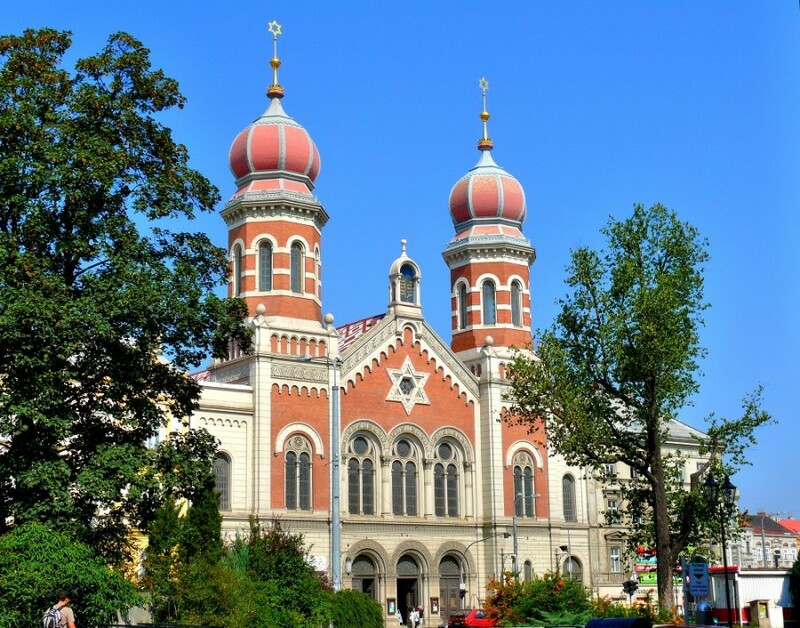 The West Bohemian city, the fourth largest in the country, is the home to some 170,000 proud inhabitants. It has always been an important hub for the region, thanks to its very favourable location on the crossroads from Prague into Germany. Being in the “right” location helped it to quickly evolve as a major trading hub and with favourable economic circumstances usually also comes an upswing in cultural and humanistic development. No exception in Pilsen. Pilsen even managed to become the royal capital at the very end of the 16th century; although for just a short period, the city to this day proudly calls itself a royal city. Its importance also left traces that we can admire to this day, where the entire historic centre is plotted with beautiful medieval and renaissance buildings with the Republic Square as the main focal point. One of the largest squares in Europe, it remains the main venue for cultural and open-air events, like festivals and markets and the place where you inevitably will end up as a visitor – an occasion you won’t regret. While it is less likely that you will end up underground by mistake, the city has one of the most extensive underground networks in the world. Developed over several centuries, this is a maze of cellars, corridors and wells, stretching some 20 kilometres in total. While exploring the undergrounds you will also come across what really puts this city on the world map: the history of its breweries, all presented in the Brewery Museum. It is after all the fame of its beer that usually takes you to this city, where the famous brand Pilsner Urquell is by far one of the most known names in the trade, a beer brewed here in the city since 1842. The clear and refined taste of the pilsner style beer originates here, where the fine waters of the city put it aside from any other beer of its kind. 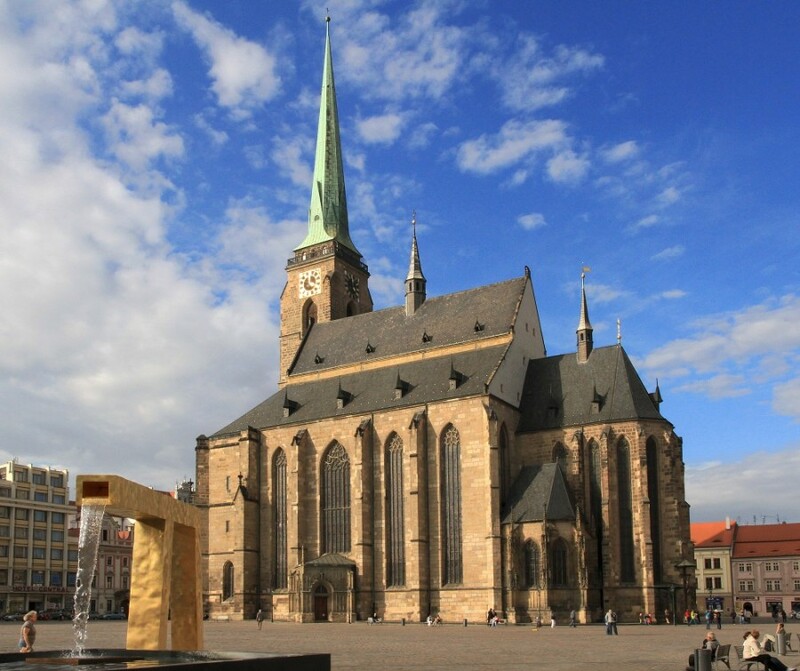 Plzen 2015 – What’s there for the Art Lovers? The European Capital of Culture 2015 kicked off in Pilsen in mid-January. While the opening is now taken care of, the big party is just about to start. At the very heart of Plzen 2015’s program for the year are the performing arts and more exactly performances in tents. To be really precise: circus tents. The modern version of a circus will be a centre-piece all along this year’s cultural events in Pilsen, but there is plenty around for among others the visual art lovers too. Dates: 2nd to 29th March 2015 | Location: Various locations. The festival honouring the Czech composer Bedrich Smetana will be an extravagant event for all classical music lovers during the month of March. Going into its 35th edition, the festival will honour the famous Bohemian composer in ten concerts around the city, where coexistence between Austrians, Germans and Czechs is at the core of this year’s program. Dates: 1st April to 31st October 2015 | Location: Various locations. With the help of artistic interventions during the entire summer period, different parts of the city centre will be transformed to showcase it from a different light. The intention is to draw attention to neglected and shabby parts of the city centre for the people to start looking at these areas, that is their own city, with different eyes. A big promise – and we’re curious for the outcome. You could be forgiven for wondering what the Maoris from New Zealand have to do with Pilsen, but as it turns out the Pilsen-born Gottfried Lindauer was one of the most eminent painters of the aboriginal population in the land of the Kiwis. This exhibition consists of 120 works of art on loan from the National Gallery in Auckland. Given that Pilsen is a largely industrial city, it’s no surprise that technology and applied arts play an important role in the year’s program. Ladislav Sutnar was born in Pilsen (1897) and at the centre of this exhibition we can find “the functionalist housing culture and the purposeful promotion of the modern lifestyle”. Or maybe more clearly put: it’s an exhibition about all the practical household items created by the world-famous Sutnar during his career. The motto for Pilsen 2015 is ‘Pilsen, Open Up!‘. Yes, there is a canny reference to a beer bottle, but also some more. 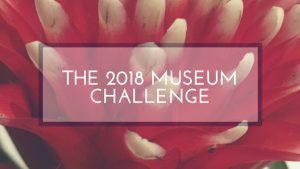 The city will be true to this motto throughout the year: museums, art galleries, theatres and streets will all be ready for visitors to surprise them pretty much around every corner, all year round. Thus, two cities, two different cultural programs to look forward to, with a bit of everything for everyone – where most importantly the idea of letting yourself be surprised should always be at the core of a visit. We certainly think that both places come across as very attractive cities with interesting events planned, thus, we look forward to get to know them better during the course of the year – and our hope is to maybe even pay a visit to both. We hope you will too. 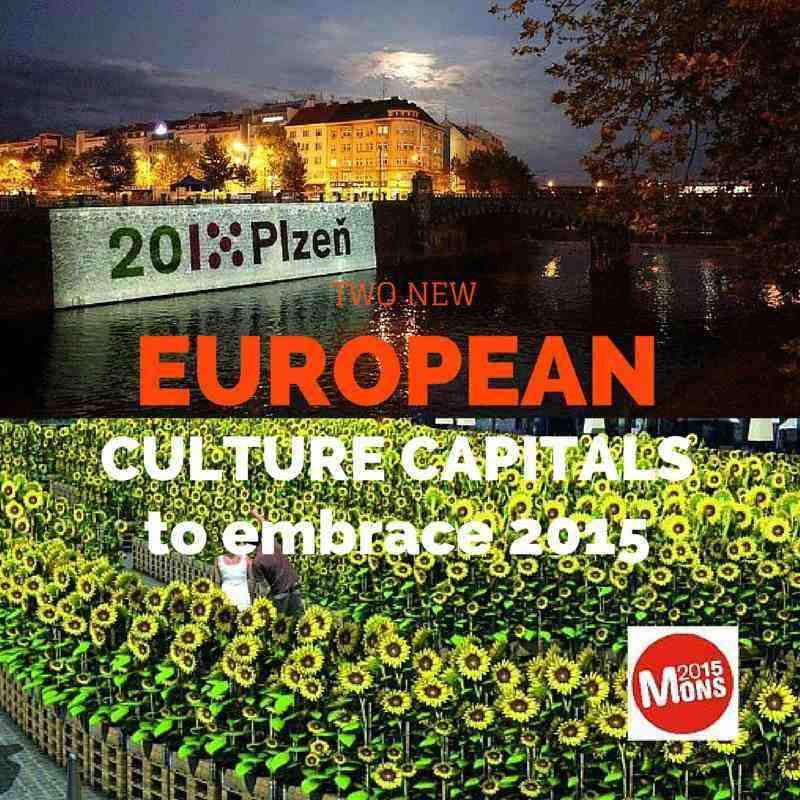 You can find more information about the two European Capital of Culture 2015 host cities on their respective official websites: pilsen2015.eu and mons2015.eu.